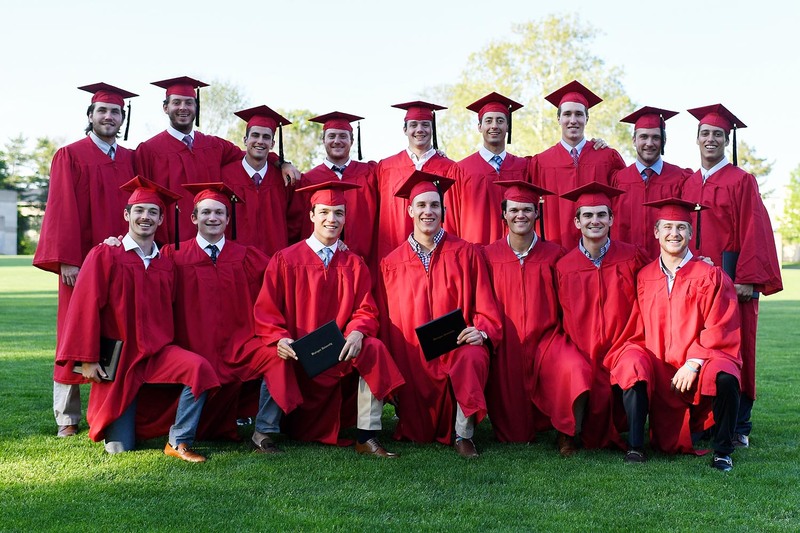 The Class of 2018 graduated on May 27. Graduates, their families, and other members of the Wesleyan community gathered on Andrus Field for the 186th Commencement ceremony on Sunday, May 27. Wesleyan conferred 745 bachelor of arts degrees; 41 master of arts degrees; 21 master of arts in liberal studies degrees; and 20 doctor of philosophy degrees. 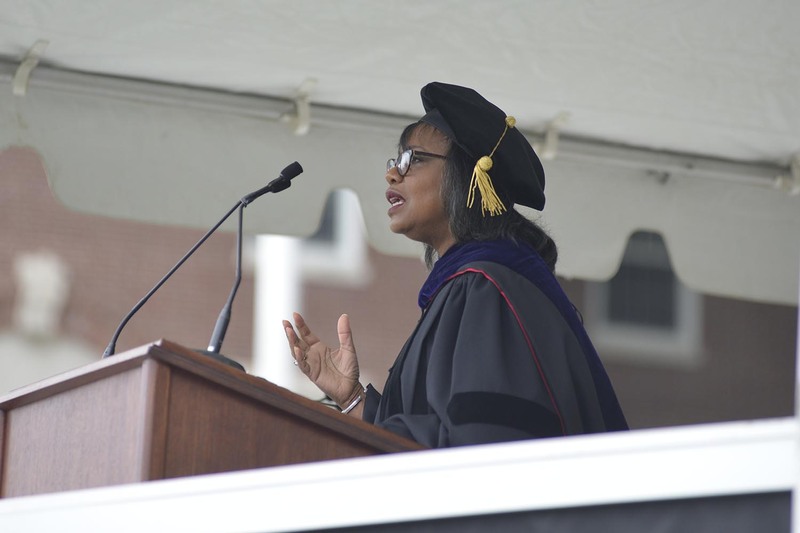 Anita Hill received an honorary degree and delivered the Commencement address. 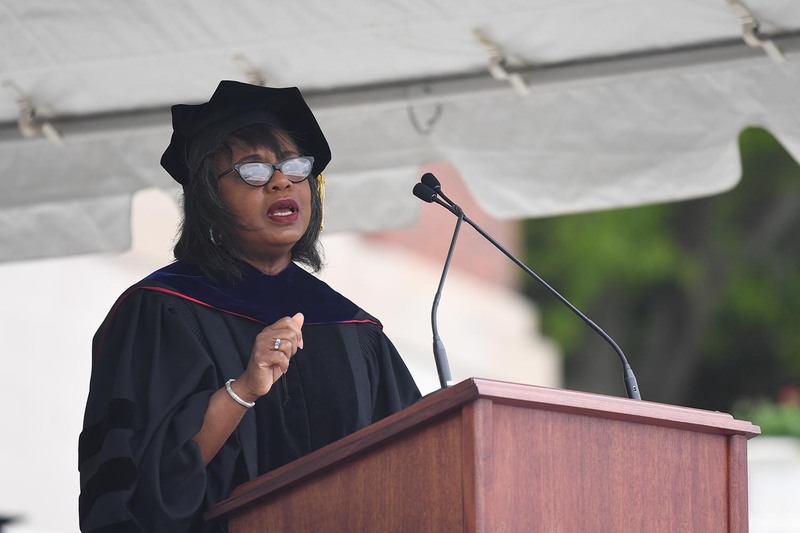 Anita Hill, University Professor of Social Policy, Law, and Women’s, Gender and Sexuality Studies at Brandeis University—and a frequent commentator on gender and race issues—delivered the Commencement address and received an honorary degree. She recently was selected to head the Commission on Sexual Harassment and Advancing Equality in the Workplace, intended to address sexual abuse and harassment in the media and entertainment industries. She also served as chair of the Human Rights Committee of the International Bar Association. 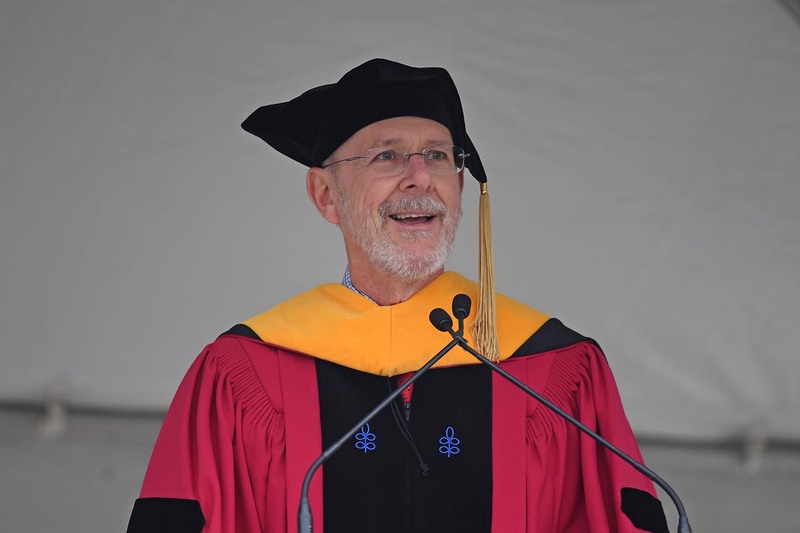 Joshua Boger ’73, P’06, ’09, founder and former chief executive officer of Vertex Pharmaceuticals and former chair of the Wesleyan Board of Trustees, received an honorary doctorate during Wesleyan’s 2018 commencement ceremony on May 27. 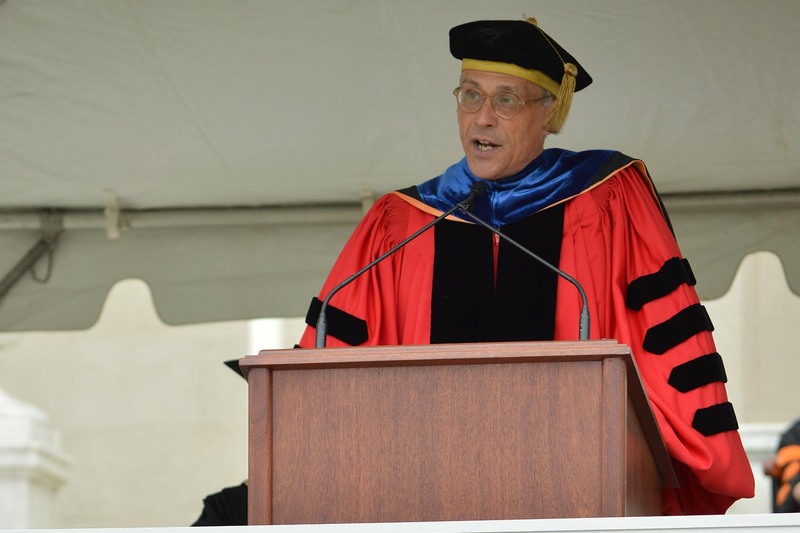 Joshua Boger ’73, P’06, ’09, founder and former chief executive officer of Vertex Pharmaceuticals and former chair of the Wesleyan Board of Trustees, received an honorary doctorate during Wesleyan’s 2018 commencement ceremony on May 27. 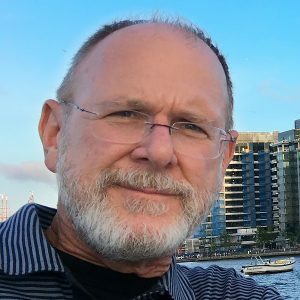 As the founder and former chief executive officer of Vertex Pharmaceuticals, Boger led the discovery and development of new pharmaceuticals for treating some of medicine’s most daunting challenges, including HIV, hepatitis C infection, and cystic fibrosis. Currently, he is chair of the campaign for Massachusetts gubernatorial candidate Setti Warren, vice chair of Boston’s Museum of Science, chair of the board of the Celebrity Series (Boston’s premier performing arts presenter) and chair of the fundraising campaign for Harvard Medical School, where he is chair emeritus. Wesleyan Class of 2018: When I sat where you sit now, some 45 years ago, in 1973, we impetuously embraced a popular mantra of the times: “Don’t trust anyone over 30.” Now I thought that was a pretty good idea then . . . and I think it’s an even better idea now. Zenzele Price ’18 delivers the senior class welcome during Wesleyan’s 186th Commencement ceremony on May 27. 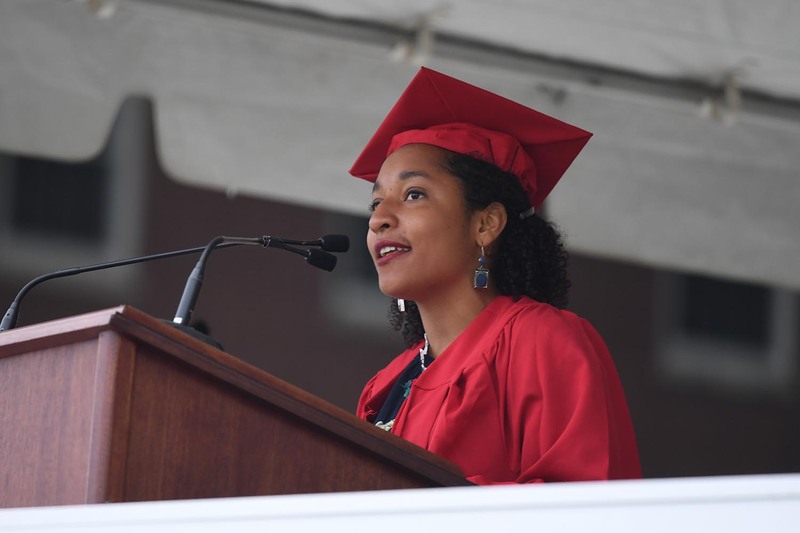 Zenzele Price ’18 delivered the following remarks during Wesleyan’s 186th Commencement ceremony on May 27. Hi, my name is Zenzele Price, and I’m the 2018 Commencement speaker. I’m trying to be optimistic, but right now graduating from college feels like being told to jump out of a plane. Standing here, with the wind battering my face, staring out at the great, terrifying expanse of the future, it’s easy to want to step back. 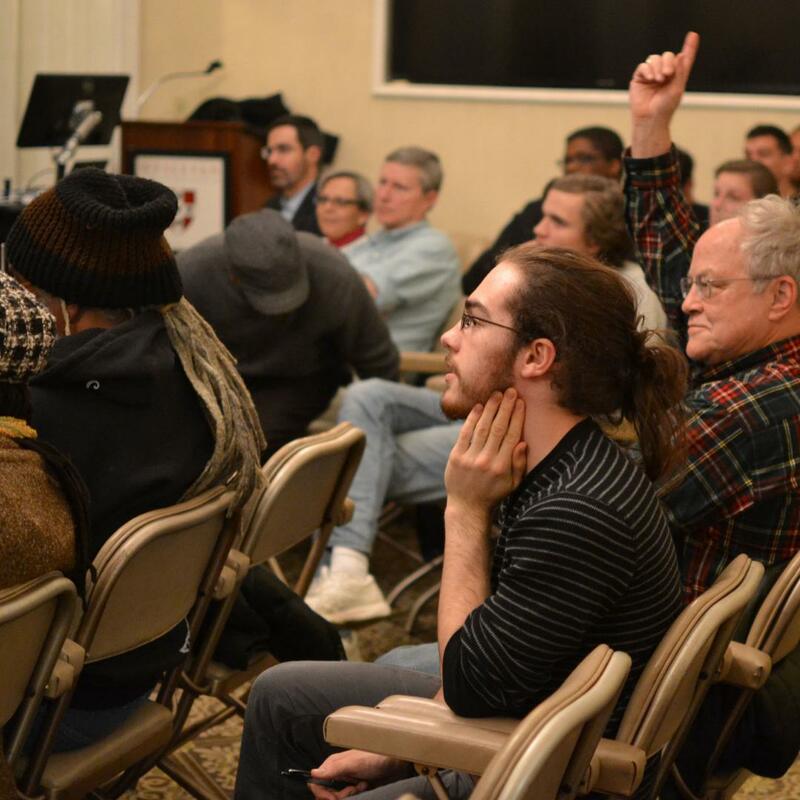 Back to the cocoon of Usdan and Red and Black, back to saying “points please,” back to a sea of familiar faces. But, in reality, there is no stepping back. In reality, we are dispersing, seeds cast to the wind, tumbling into the real world with painful, exhilarating, hopeful gravity. And it’s hard to trust my parachute. 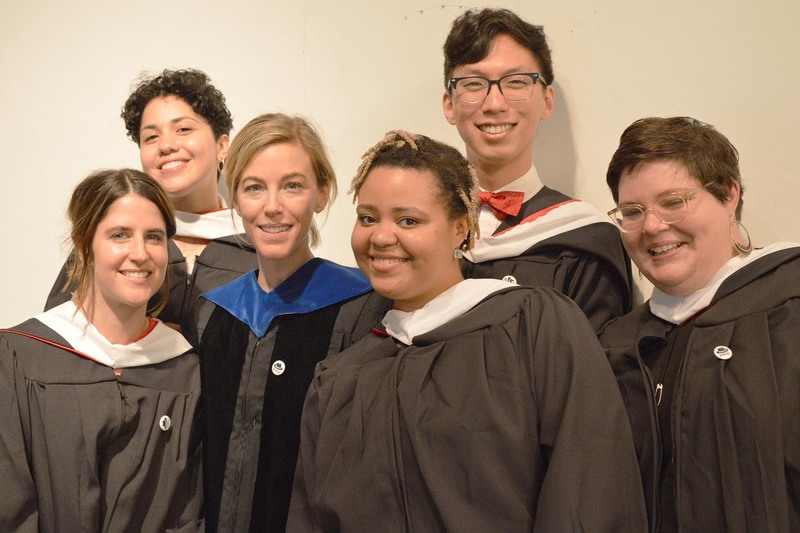 On May 27, seven students graduated with a Master of Arts in Performance Curation through the Center for the Arts Institute for Curatorial Practice in Performance (ICPP). Since being introduced as a pilot initiative in 2011, ICPP has graduated 16 students from the ICPP Master’s program (including this year’s class). ICPP encourages emerging curators to enrich their understanding of intellectually rigorous, innovative, and artist-centered curatorial models. Through a low-residency model, ICPP asks its students to not only engage with ideas but also to simultaneously put those ideas into practice in their professional lives, developing responsive curatorial practices that address the interdisciplinary nature of performance work today. 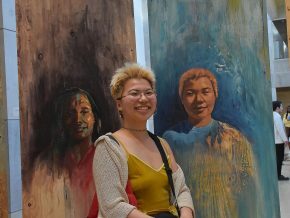 The mix of ICPP instructors—artists, scholars, curators, cultural leaders, writers, and theorists—is intended to spark new possibilities and connections both intellectually and professionally. Instructors provide theoretical and practical tools for students to deepen their research methodologies through reading, writing, viewings, and discussion. 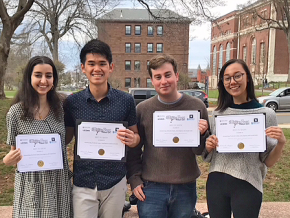 The degree recipients include Michèle Steinwald ’13, Ellina Kevorkian, Ali Rosa-Salas, Brian Hyunsuk Lee ’13, Katrina De Wees, Rachel Scandling, and Michelle Daly. Steinwald and Kevorkian were unable to attend the commencement ceremony. 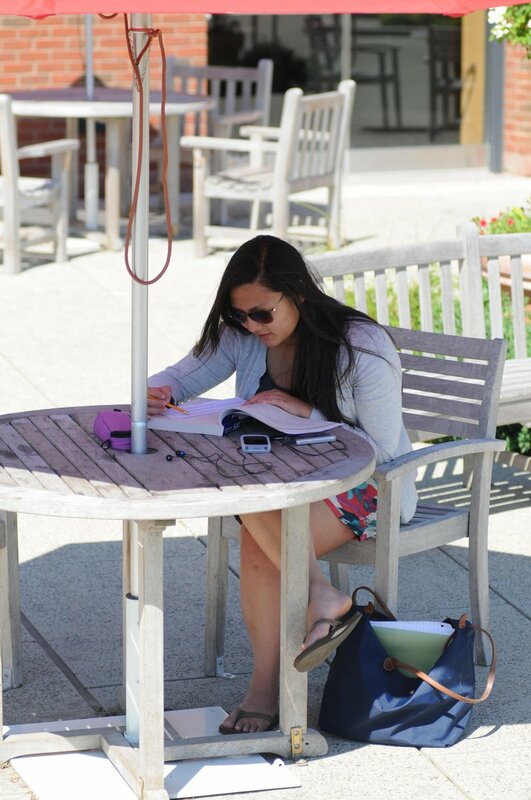 Wesleyan’s 186th Commencement ceremony on May 27 will take place outside on Andrus Field, as planned. Our best advice is to come prepared for cool, wet weather conditions, and bring along an umbrella. 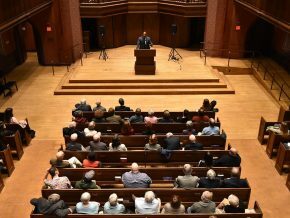 A reminder that rain or shine the Commencement ceremony will be simulcast in the Memorial Chapel, Patricelli ’92 Theater, Ring Family Performing Arts Hall and Tishler Lecture Hall (150 Exley Science Center). The ceremony will also be available to view on the website wescast.wesleyan.edu. 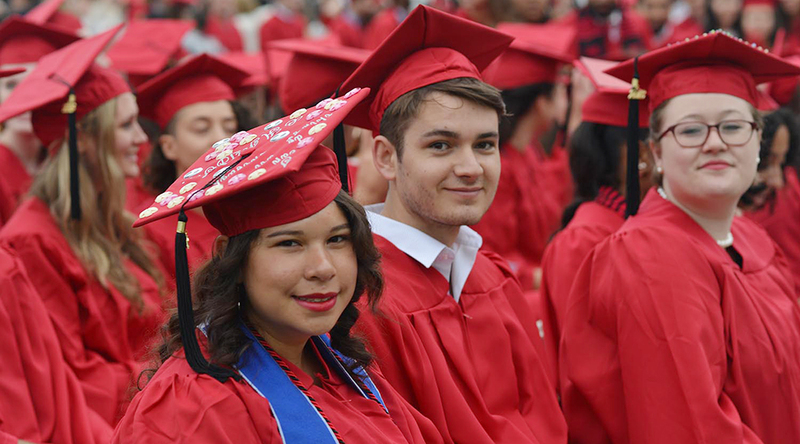 For additional information about Commencement, please see here. Wesleyan will present two honorary doctorates at the University’s 186th Commencement on May 27, 2018. Anita Hill, who for decades has fought against discrimination and sexual harassment in the workplace, will present the Commencement address, and Joshua Boger ’73, P’06, ’09 founder of Vertex Pharmaceuticals and chair emeritus of Wesleyan’s board of trustees, will also be honored. 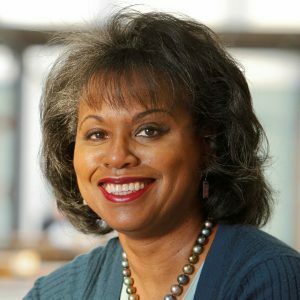 Anita Hill is University Professor of Social Policy, Law, and Women’s, Gender and Sexuality Studies at Brandeis University and a faculty member of the Heller School for Social Policy and Management at Brandeis. In 1991, her name became indelibly stamped on the national consciousness when she accused Supreme Court nominee Clarence Thomas of sexual harassment while he was her supervisor. 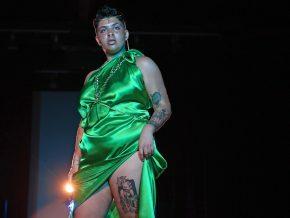 Her courage in speaking out and her dignity in the face of vituperative attacks remain inspirational, and over the years she has provided frequent commentary in the national media on gender and race issues. She recently was selected to head the Commission on Sexual Harassment and Advancing Equality in the Workplace, intended to address sexual abuse and harassment in the media and entertainment industries. She also served as chair of the Human Rights Committee of the International Bar Association. Hill is a scholar of contract jurisprudence, commercial law, and education policy. She is a prolific author, publishing numerous law review articles, essays, editorials, and books. Her most recent book, focused on housing and the 2008 foreclosure crisis, is Reimagining Equality: Stories of Gender, Race, and Finding Home. She previously co-edited Race, Gender, and Power in America: The Legacy of the Hill-Thomas Hearings with Emma Coleman Jordan. In 1997 she published her autobiography, Speaking Truth to Power, in which she discusses her role in the confirmation hearings. Among her many honors, she received the UC Merced Alice and Clifford Spendlove Prize in Social Justice, Diplomacy and Tolerance in 2016 and the Ford Hall Forum First Amendment Award in 2008. Hill holds a BS degree from Oklahoma State University and a JD from Yale University. Joshua Boger is an outstanding scientist whose vision transcends the lab. As the founder and former chief executive officer of Vertex Pharmaceuticals, he led the discovery and development of new pharmaceuticals for treating some of medicine’s most daunting challenges, including HIV, hepatitis C infection, and cystic fibrosis. 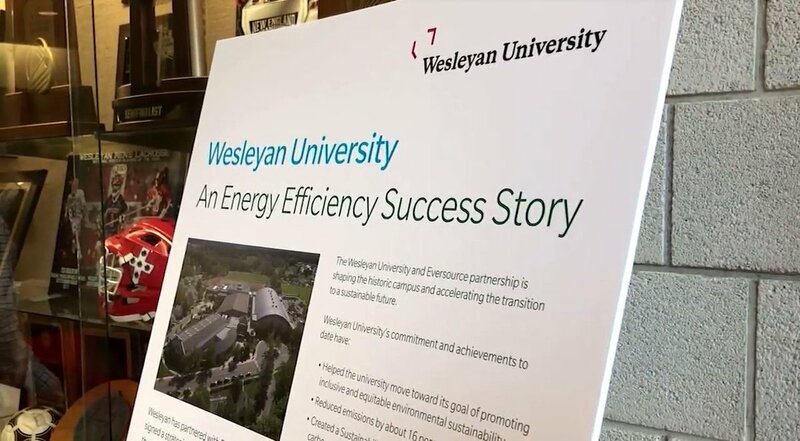 At Wesleyan, where he served as chair of the board of trustees, he helped ensure the success of Wesleyan’s $482 million THIS IS WHY campaign and consistently urged the board to anticipate challenges years ahead. He continues to contribute his skills and wisdom to various scientific, cultural, educational, and political ventures. Boger is the author of over 50 scientific publications, holds 32 U.S. patents in pharmaceutical discovery and development, and has delivered over 100 invited lectures—in the United States, in Europe, and in Asia—on various aspects of drug discovery and development. Prior to founding Vertex in 1989, he headed the departments of Biophysical Chemistry and Medicinal Chemistry of Immunology & Inflammation at Merck Sharp & Dohme Research Laboratories. He holds masters and doctoral degrees in chemistry from Harvard University. Currently, he is chair of the campaign for Massachusetts gubernatorial candidate Setti Warren, vice chair of Boston’s Museum of Science, chair of the board of the Celebrity Series (Boston’s premier performing arts presenter) and chair of the fundraising campaign for Harvard Medical School, where he is chair emeritus. Among many other present and former volunteer activities, he was the founding chair of the board of the nonprofit MassChallenge (the world’s largest start-up business incubator), and, while a member of the board of the ACLU of Massachusetts Foundation, co-founded their ongoing Technology for Liberty and Justice for All Projects. A list of past honorary degree recipients and Commencement speakers is available here. Suggestions for future recipients of honorary degrees are welcome. 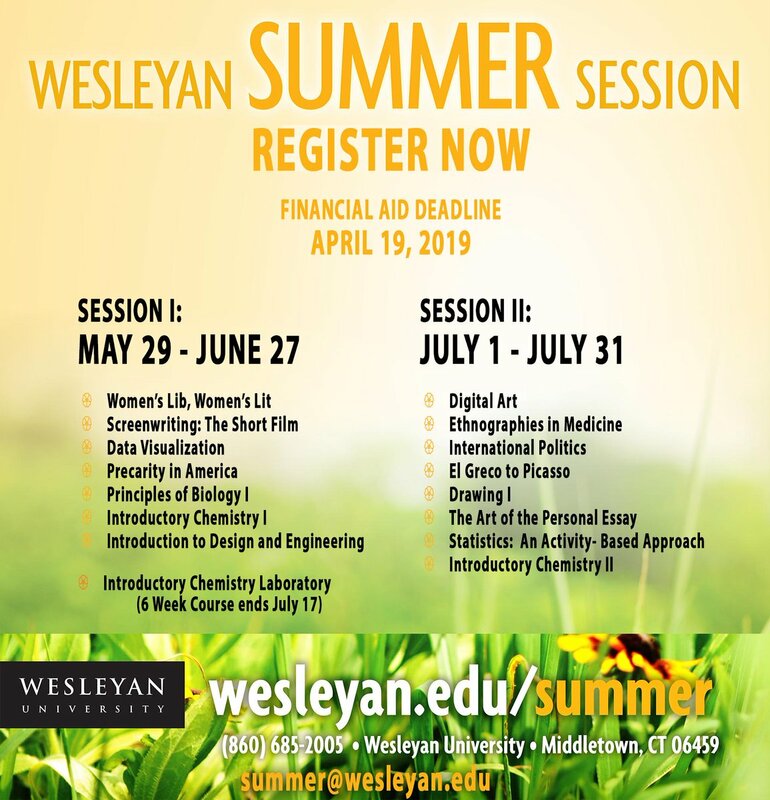 Contact presoffice@wesleyan.edu.